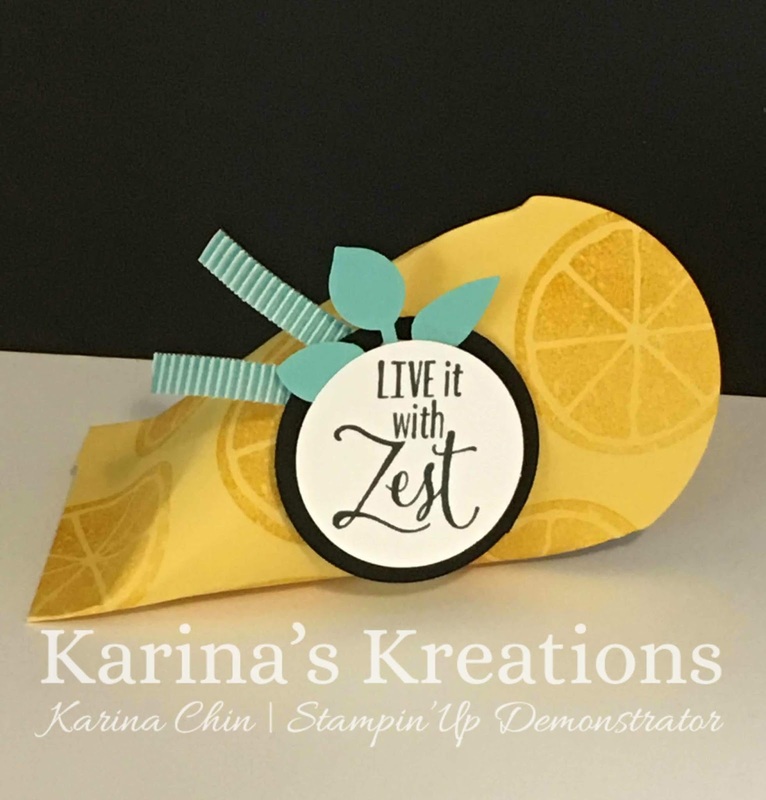 Karina's Kreations: Stampin'Up Lemon Zest! Do you need a cute party favor for a summer barbecue or birthday party? I made this cute treat for my Stampin'Up Bingo that I'm holding tonight. I used the new Petite Treats Framelits dies. The dies come with three different types of tops. I used the oval shape and decorated the Daffodil Delight card stock with the Lemon Zest stamp set. To order your supplies, click on a picture below.